At Power-Gen Europe 2016, MAN Diesel & Turbo presents a new modular concept for Combined Heat and Power gas engine power plants. With this, the company is responding to increasing European demand for highly efficient yet flexible technologies for power generation. “The medium and long-term energy and climate strategy of the European Union is based on a substantial increase of energy efficiency and increasing decarbonisation of the energy sector. Combined Heat and Power decentralised gas power plants achieve an extremely high fuel utilisation rate with low emissions, and will thus play an increasingly important role in the European energy markets”, says Dr Hermann Kröger, Senior Vice President MAN Diesel & Turbo and Head of the company’s power plant business. Thanks to the modular design, individual units can be switched on or off, depending on the power demand. This ensures consistently more efficient operation and increased load compared with non-modular concepts. It also means that maintenance and overhaul activities can be carried out without shutting down the power plant. In the gas engine variant, the proven MAN 35/44G forms the heart of the CHP solution – a 4-stroke gas engine which can be specified with either single or two-stage turbo charging. With the so-called Two-Stage engines, a low and a high pressure compressor are coupled in series, thereby increasing the efficiency of the engine. The single-stage turbocharged 20-cylinder version has a mechanical power output of 10 MW, the Two-Stage version 12.4 MW. This is also available in a 12-cylinder V version with a mechanical power output of 7.4 MW. “MAN Diesel & Turbo offers the widest CHP generation portfolio available on the market”, says Christopher Antes, Senior Vice President MAN Diesel & Turbo and Head of the Business Unit Turbomachinery. And not only in the gas engine sector: “With the MGT gas turbine family, we have also positioned a product with captivating efficiency in the market segment for small, flexibly deployable gas turbines. 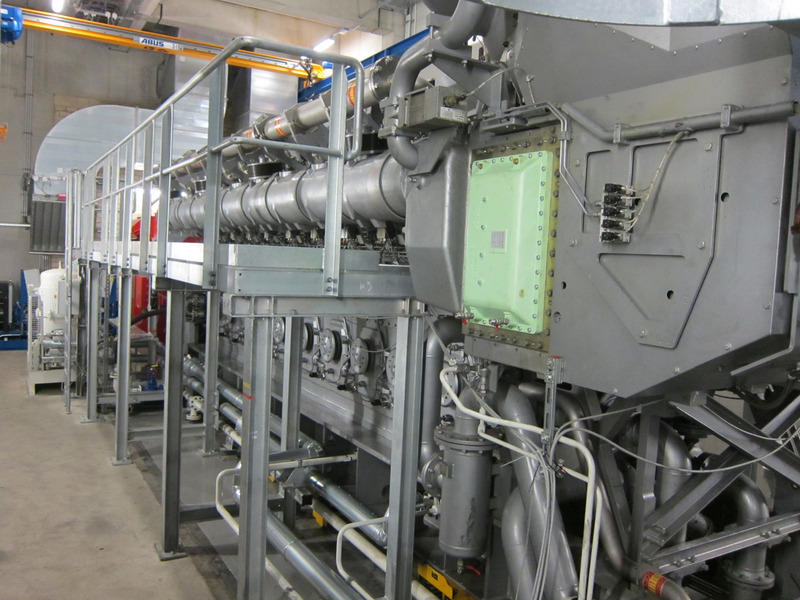 Energy customers can rely on us for CHP competence and a range of advice which is almost unique in the market.” With a mechanical efficiency rating of 34 percent, the MGT is setting standards in the 6 MW output class. Manufactured by MAN at its German Oberhausen plant it delivers 6.9 megawatts of mechanical power. 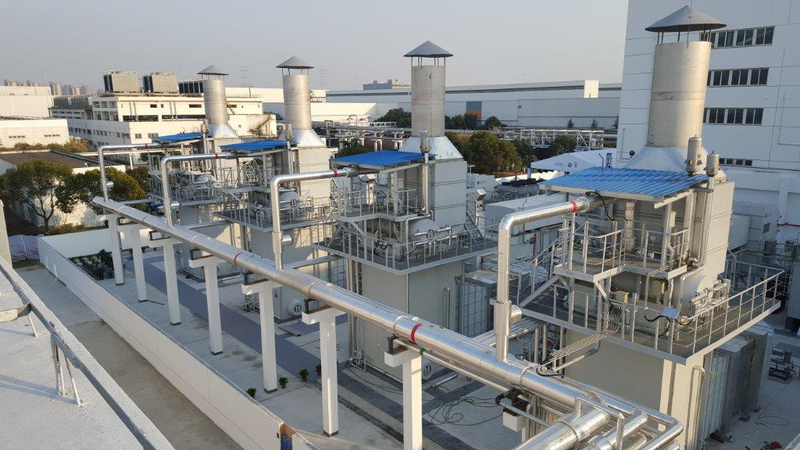 The MGT gas turbine family recently celebrated its premiere in CHP application on the Chinese market where four MGT 6200 turbines supply Shanghai Volkswagen Automotive Company Ltd. with electrical energy and process steam. As part of growing environmental awareness, the Chinese government introduced a programme of emissions reduction and increased energy efficiency. “The new Volkswagen power plant covers nearly 25 per cent of the energy demands of one of the largest car manufacturing sites in China. It has low emissions, uses more than 80 per cent of the available fuel energy, and reduces CO2 emissions at the site by around 59,000 tonnes per year”, explains Antes.